There’s nothing that can compare to the experience of India’s grand glory days unless you’re staying at the ITC Grand Bharat in Gurgaon. 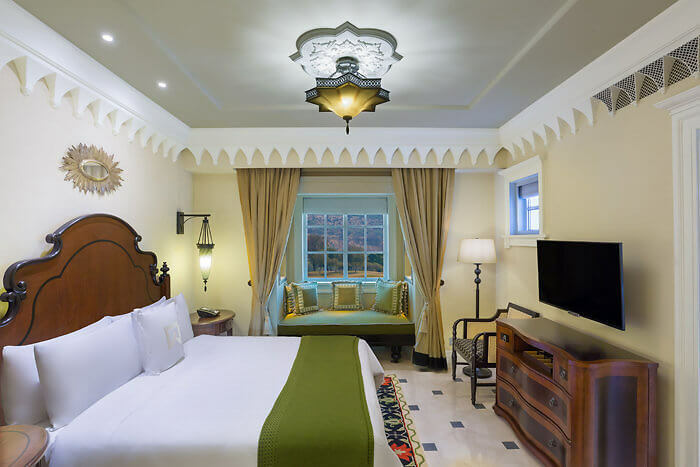 The 104-suite luxury property evokes the grandeur of India’s finest historic landmarks in a lush fairy tale setting fit for a modern day Maharani. 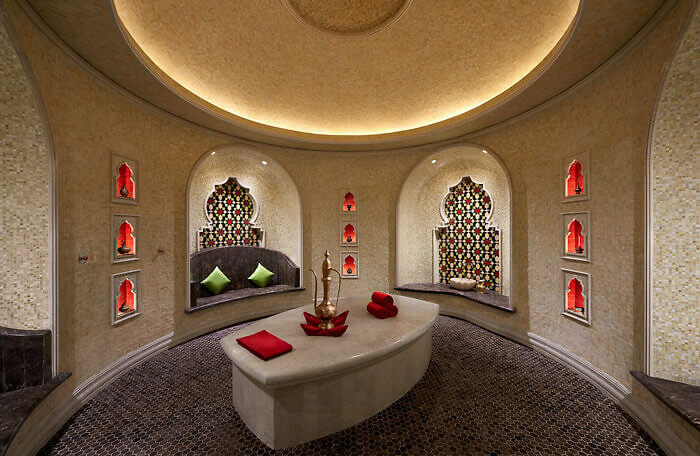 Or for those wellness seeking luxury travelers who have come to enjoy the finer things in life. 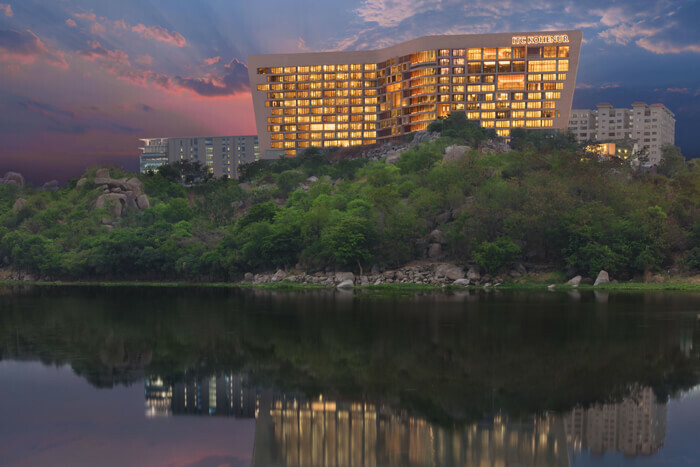 Set amid the ancient Aravali hills, its sprawling green space hugs the 296-acre Luxury Collection Hotel, a fixture since opening in 2015. There is no din of Delhi’s legendary bumper to bumper traffic nor the crowds. The only hallmarks are the quiet serenity now moments one feels the minute your chauffeur whisks you past the roundabout topped by an enormous flag of the nation. A microcosm of ‘Bharatvarsh’ Hindi meaning India, ITC Grand Bharat is the very idea of India. Architectural styles are reminiscent of the Adalaj Stepped Well in Gujrat in the west, the Temple Mukteshwar of Orissa in the east, and the ghats of Varanasi to the north. 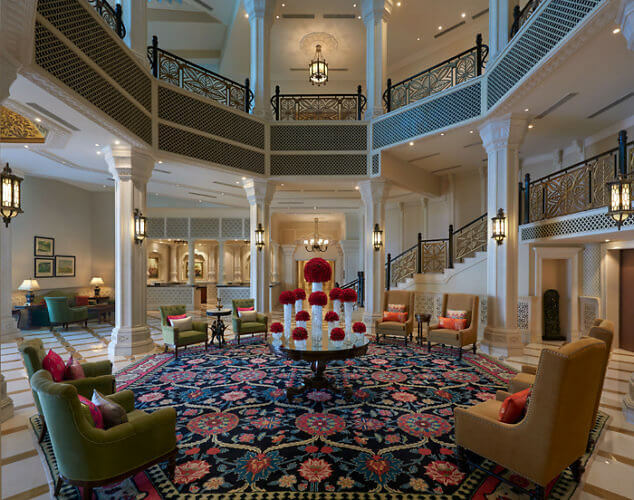 For the New Delhi visitor, the ITC Grand Bharat makes an ideal bookend, the antithesis of the bustling capital. For the MICE industry, a play and stay philosophy adds extra cachet. Two championship golf courses and an award-winning spa have made this hotel a definite retreat. 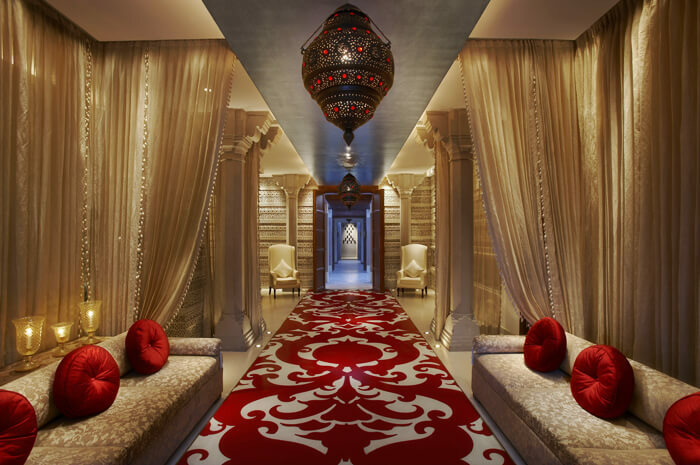 The ITC Grand Bharat highlights: Clutching a sumptuous textile by a red carpet a welcome ceremony of uniformed guards are at the ready. Guests walk beneath the fluttering fabric and immediately are seen to exhale. 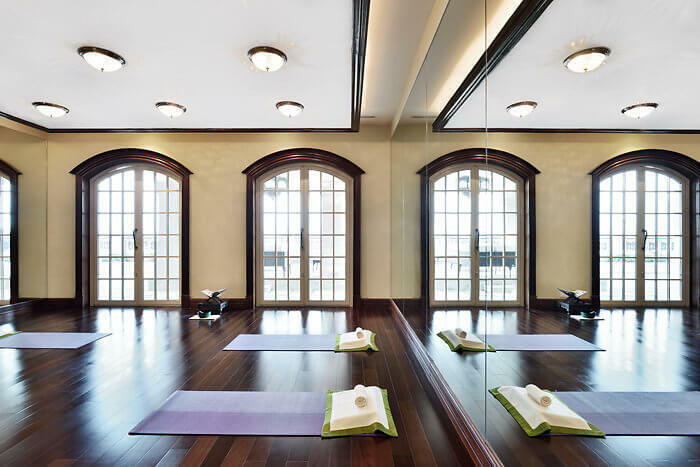 You can’t help but leave behind the city stresses and walk into a retreat where the emphasis is on health and wellness. The luxury destination retreat is conveniently located 23 miles from the capital city of New Delhi. The mantra is slow tourism. It’s unhurried luxury evident in the offerings like the wellness menus, on-site activities, and dining options. Th award-winning property is India’s first all-suite luxury hotel so room configurations come in two categories: Deluxe Suite with Terrace or a Deluxe Suite with Semi Private Pool. The luxury hotel also has four Presidential villas. My Deluxe Suite had a semi private lap pool. Furnished with classic touches from a traditional divan by the bedroom window to the spacious bathroom with his and her sinks, a walk-in shower and a deep tub there is also a spacious walk-in closet. A living room is adorned in artful designs that emits an Old World feel. French doors nicely open to a walk-out private terrace. The king-sized bed like each bed from the ITC Hotels Luxury Collection has 300-thread count sheets and a signature WelcomSlumber kit which is a sleep bar of sorts. Find an eye patch, ear plugs, and assorted organic essence oil sprays guaranteed for good sleeps. Hotel Perks: Prepare for a retreat atmosphere where slow tourism reigns. 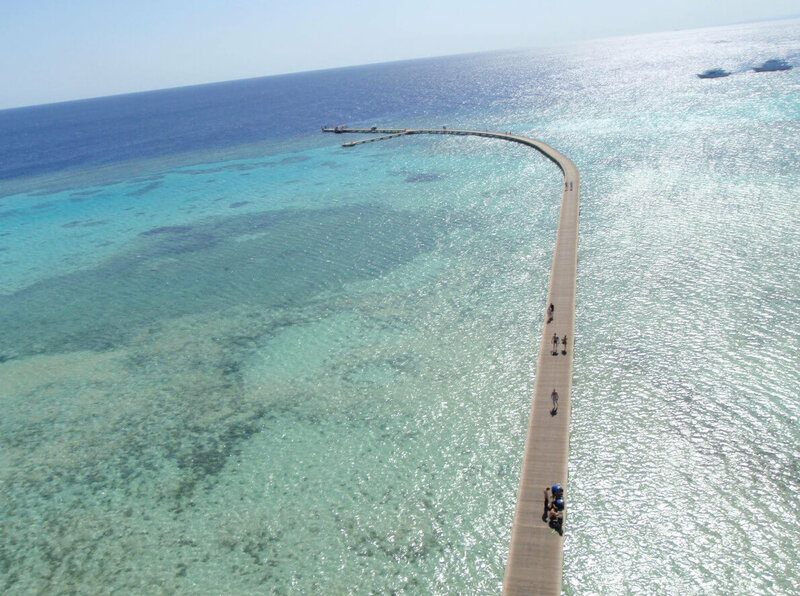 You’ll hear the expression, “unhurried luxury” reflected in the hotel’s spa brand Kaya Kalp, culinary offerings, recreation and wellness services. Wellness programs are the main draw as are unique gourmet experiences led by a “Well-Being” chef. The other: the two championship golf courses. 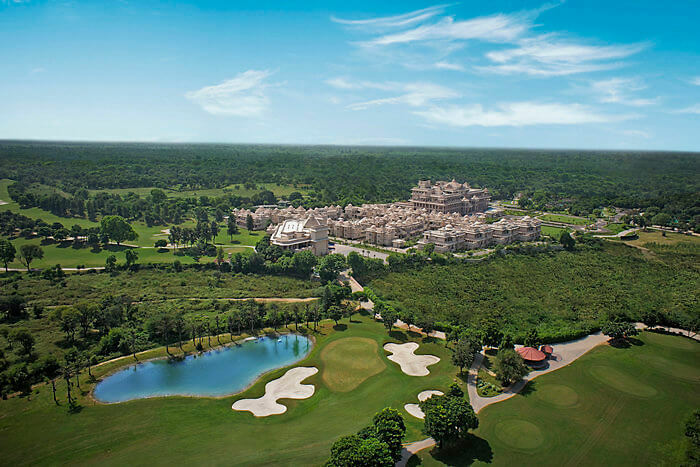 These Jack Nicklaus designed 18-hole signature championship course and 9-hole signature canyon course are considered India’s first international standard golf courses. Created on a barren sandy plain, one of India’s best courses has been constructed using 100 percent organic material to enrich nutrients into the arid, sandy soil. The result is a lush greenery. Find five dining experiences (Aravali Pavilion, Apas Promenade, Peacock Bar, The India Room, and the Club House) but discover each restaurant has its own twist on healthy eating. It’s not diet food either but exquisite menu items curated by ITC’s chefs and Ishi Khosla a renowned clinical nutritionist and founder of the Celiac Society of India and Whole Foods India. Try their unique culinary concepts such as Swasthya cuisine (eating for health and taste) prepared in copper, stainless steel or clay pots. The anchor restaurant, the Aravali Pavilion, showcases modern India dishes and international fare. The menu has color-coded dietary symbols for gluten free, vegetarian, lactose free, food items deemed under threat, locally sourced among other dietary choices. The Signature Mornings “Best of Pavilion,” has a la carte breakfast items as well as cold-pressed juices and a brimming breakfast buffet. Apas Promenade, casual Sufi dining is served under the white top tent poolside paired with ceiling lanterns and candlelight. The farm to plate approach at this “Apas” eatery — “Ap” meaning water in Sanskrit – features local Mewati barbecues, a staple around the ancient Aravali hills. Indigenous cooking techniques like the open charcoal grill “Shola” and the Indian hot plate “Tawa” are familiar here. The Signature dishes are definitely the Junglee Maans, Mewati Biryani and the Bajra Phirnee. Even the cocktails have a healthy hook. Enjoy superfood cocktails like the vodka-infused Beetroot and Cucumber Cooler or the tequila-based Marmalade and Turmeric Margarita at the Apas Promenade and Peacock Bar. Flutes of champagne are familiar for guests at the fine dining restaurant The India Room. Bedecked in royal sapphire blue, crisp white linen with luxurious curtains that draw your eyes outward to the hotel’s exterior splendors, service here is at its highest. Vegetables are sourced locally as are the finest cuts of meat like the slow cooked Mewati Goat. The star of the India Room feast is hands-down the French cheese souffle. The dining experience can best be described as a theater of European cuisine celebrating India’s ties to Old Europe. Diversions: Take advantage of the many on-site programs like morning yoga classes, the spa, and enjoy a game of golf or take gentle walks through the lush grounds searching for resident peacocks that call ITC Grand Bharat home. 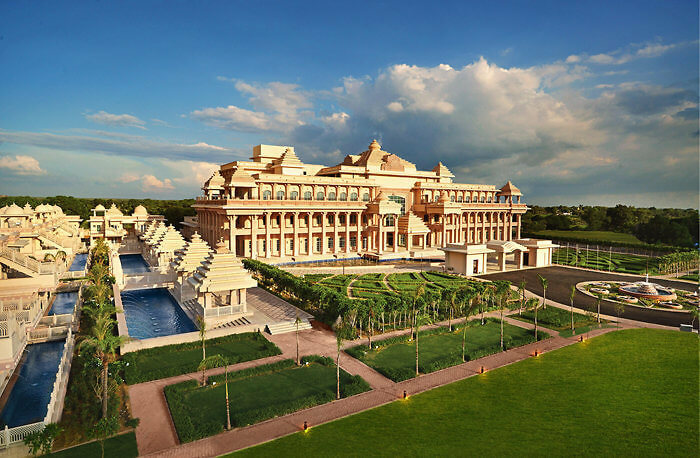 Overall impression – For time-starved travelers wanting an enriching holiday to India without all the fussy travel across the country this luxurious Bharati palace personifies health and wellness at this timeless golf and spa retreat. You can make your reservations at the ITC Grand Bharat website. Room rates are from $250 double occupancy while the Presidential Villas start at $57,078. Compare rates on a hotel booking site such as Travelocity. Ilona Kauremszky was a guest of ITC Hotels which did not review the story.